Actress Lori Loughlin's daughter Olivia Jade Giannulli joked on video that she was 'literally never in high school' a year before her mother was accused of paying bribes to get her into a prestigious college. The now 19-year-old social media influencer made the remarks in a YouTube videoshot on her last day of high school, posted in May of 2018. 'I'm, like, excited to go prank my, like, do the school prank, but I'm also literally never at school that I think my class doesn't even — and maybe they forget I go there!' the teen said. Loughlin and her fashion designer husband are accused of paying $500,000 to a fixer who saw that Olivia Jade and her sister were admitted to the University of Southern California as purported coxswains on the school's women's rowing team, even though they had never participated in the sport. According to court documents, Olivia Jade posed with a photo of a rowing machine as part of her college application materials, despite her apparent lack of interest in the sport. She has not been charged. Her parents are charged with conspiracy to commit mail fraud and honest services mail fraud, a felony which carries a maximum sentence of five years behind bars. 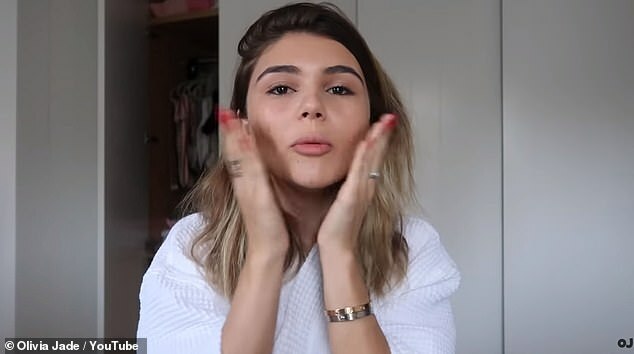 Olivia Jade, a USC freshman who raked in big money with sponsored posts on social media, has also faced repercussions for allegedly cheating the admissions process. Sephora and TRESemmé both cut ties, while she has also reportedly put the brakes on her college career. Overnight, she has gone from a college student making upwards of seven figures a year to a drop out with uncertain prospects.